Happy New Year, everyone! This year I look forward to sharing more of my original pattern research and sewing projects, including my ’40s cape, an over-the-top ’70s Dior, and two by Alexander McQueen. For the moment I’ve been temporarily sucked back into academia, so my first post of 2013 is an images post. 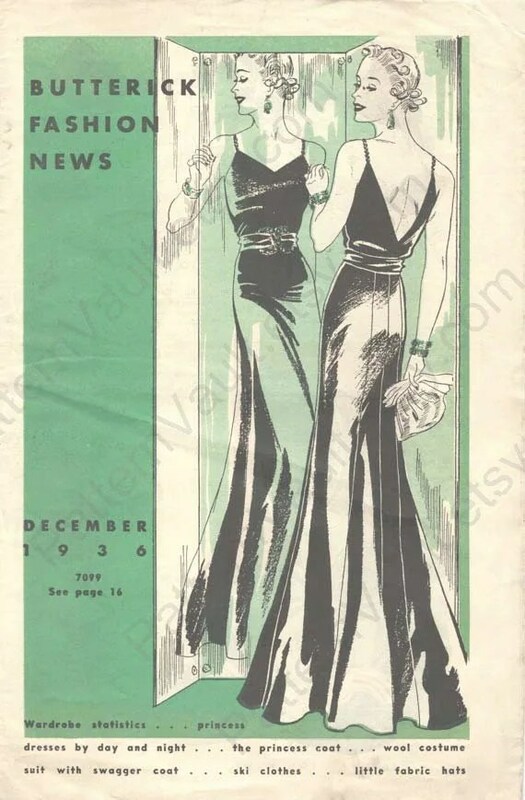 Butterick Fashion News, December 1936. 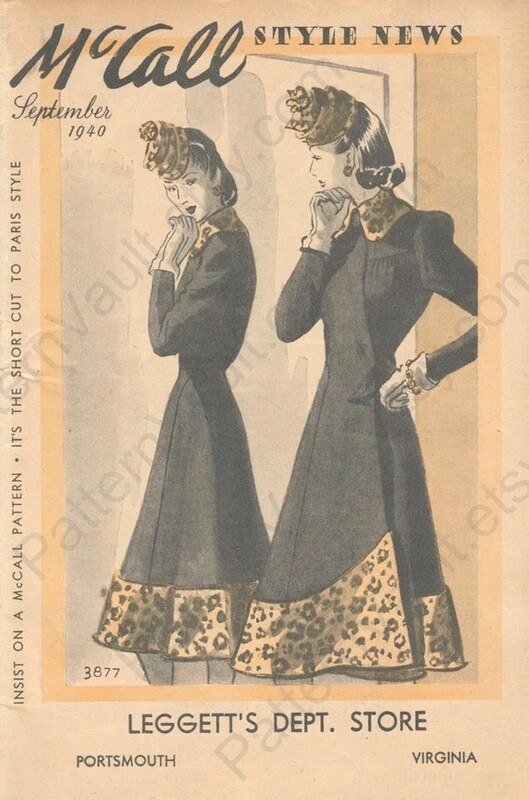 Image: PatternVault shop. McCall Style News, September 1940. Image: PatternVault shop. 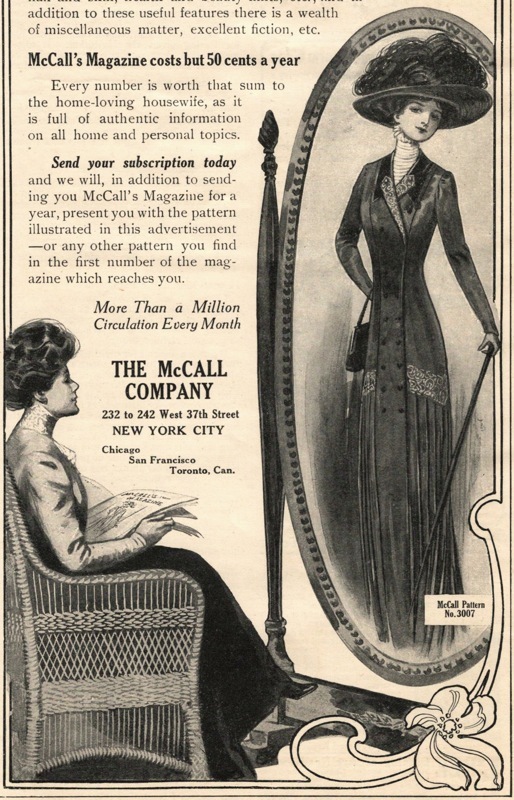 Detail, advertisement for McCall’s magazine, 1909. I know this isn’t the only sewing ad I’ve seen based on this concept. Can you think of others? In other news, PatternVault is now on Twitter! Follow me for updates on the blog, shop, and vintage and designer fashion. Now I will definitely be looking for “mirror” images! Very interesting post – thank you and Happy New Year! Love this post! 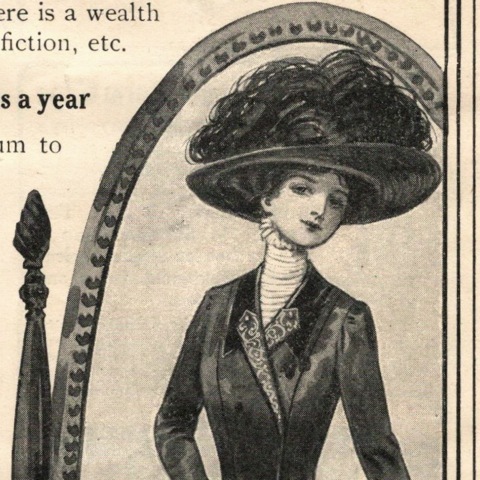 All those illustrations are so great! I once had a customer tell me that buying a pattern is like buying hope. I think that last illustration especially shows that. Lovely, and thanks for sharing.